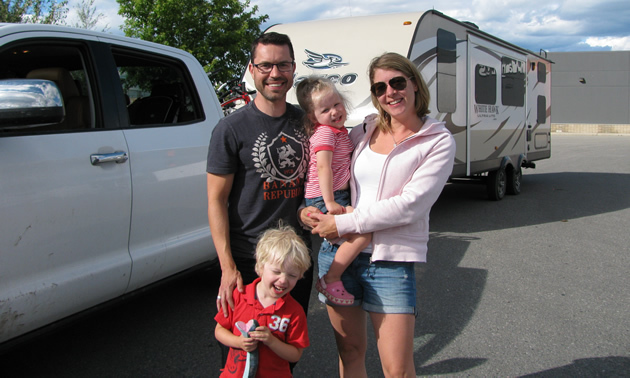 Coby and Nealy Cragg and their children, Louis and Isabelle, from White Rock, B.C. 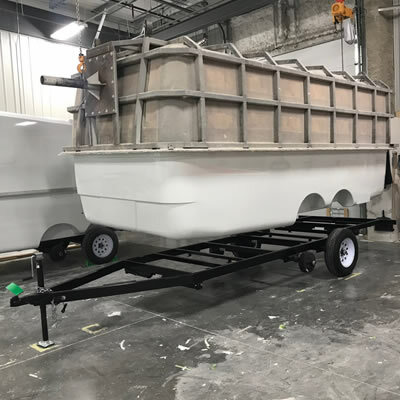 We’re pulling a Jayco White Hawk 28-foot bunkhouse. We got it in September last year, so this is our first trip with it. We love it. The truck is new, too—we’ve just had it for three weeks. It’s a Toyota Tundra and we already know it handles really well in a torrential downpour and mud. We’re fueling up at the SuperStore pumps in Cranbrook and then heading out. 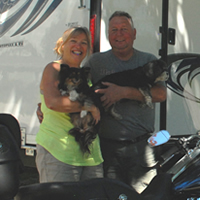 First to Silverwood (Theme Park, in Idaho) and then across Washington to the Grand Coulee Dam, and then to Leavenworth and back home along the coast. 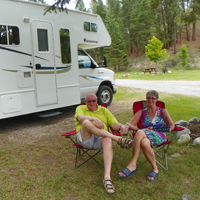 For the second time, Margreet and Peter Klein of Amsterdam travelled across the globe for an RV adventure in Canada.